With the rivers carrying a lot of extra water, and the weather being " not so good" add you own word here if over 18! I have not been fishing of late. It's been a time of planning. A trip to the Thames, when I stay with my friends (Pc, Yume, Dwix and Mum. That's actually their names!!) for the rugby. The Chumbley annual trip, this year is on the Trent in September and sorting through the tackle. It all came out the cupboard, was sorted a bit and piled back in. This morning, I was sat chilling and my phone reminded me of this day in 2018. It just gave me two pics, so I was intrigued. It seems I did have a fish, in a similar spot to my last trip and I didn't see it exactly so was not sure if it was a pike or a chub. It got me thinking of the times you hook a fish but don't see it, you are always left wondering. Ellis and I commented that if the pike I caught on cheese paste had bitten through my line, we would have assumed a chub and the line broke on a snag, how wrong we would have been. I wonder how many times we have hooked a pb but never having seen it, we never knew? 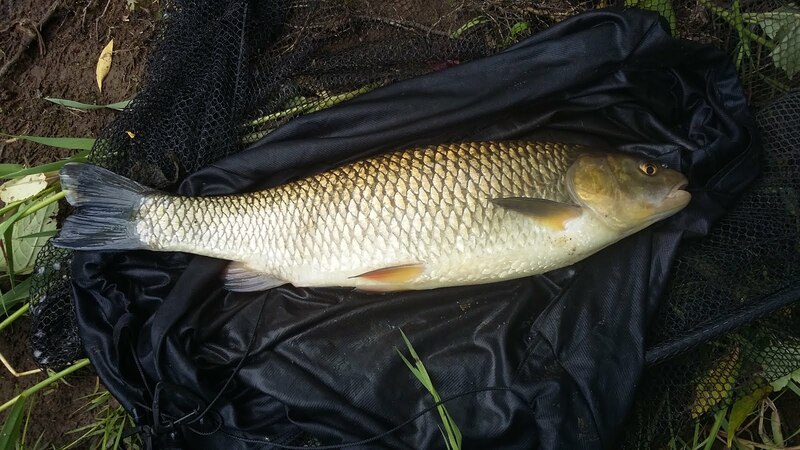 On the flip side, how many times have we seen a minnow but when if came off, did we think it was a specimen chub? 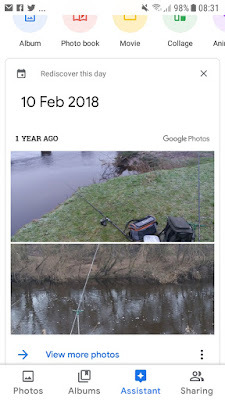 I am rambling, I must be due a trip soon, but it was nice to read an old blog and escape back to the river again, if only in my head.